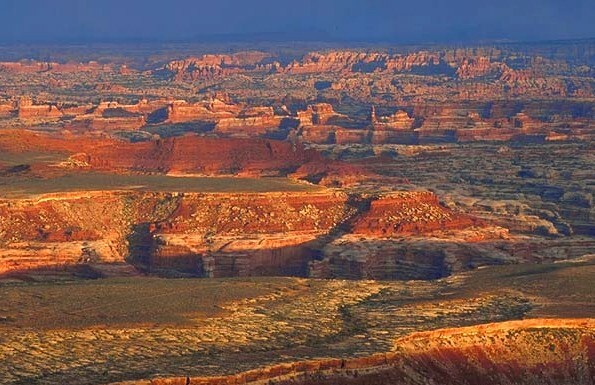 There are three and five day Canyonlands tours from Las Vegas, as well as a two day Canyonlands tour from Salt Lake City. 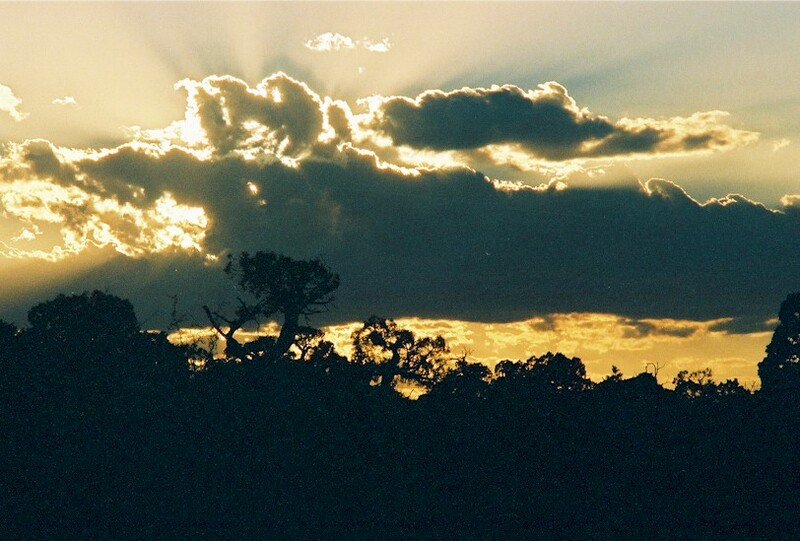 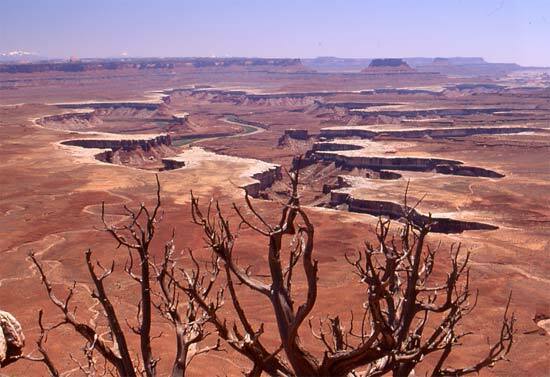 Canyonlands is divided into three area: Needles, The Maze and Island in the Sky. 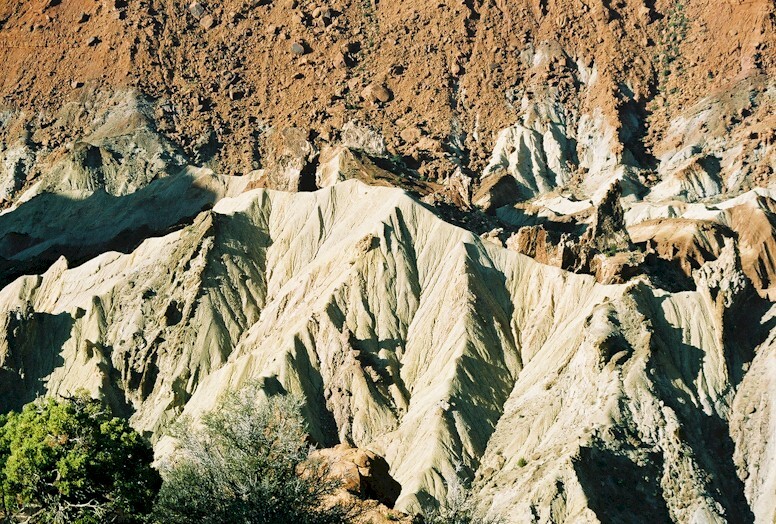 While all offer spectacular scenery, only Island in the Sky is elevated up high on a plateau from where you can gaze for miles around, over the canyon country. 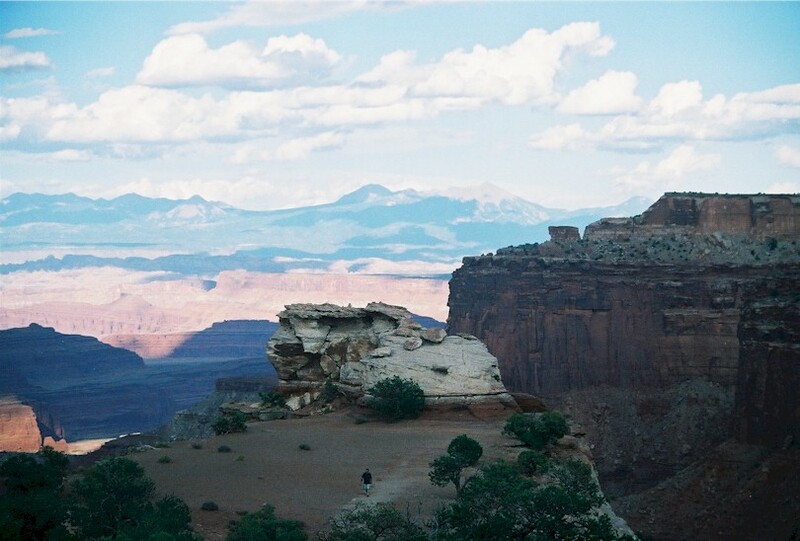 Island in the Sky is also home to the mysterious Upheaval Dome, which may have been created by a meteor (second photo from the right above, and second photo from the left below). 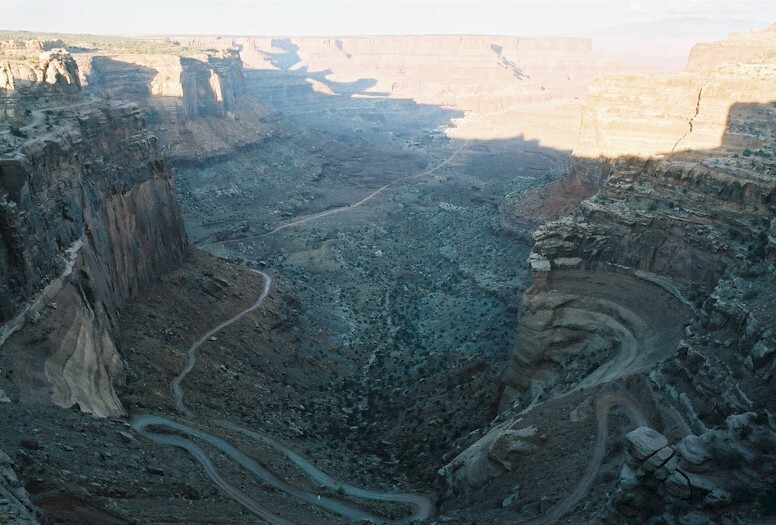 While at Canyonlands, you'll tour Upheaval Dome, the Shafer Trail Viewpoint, Green River Overlook, and various other sites. 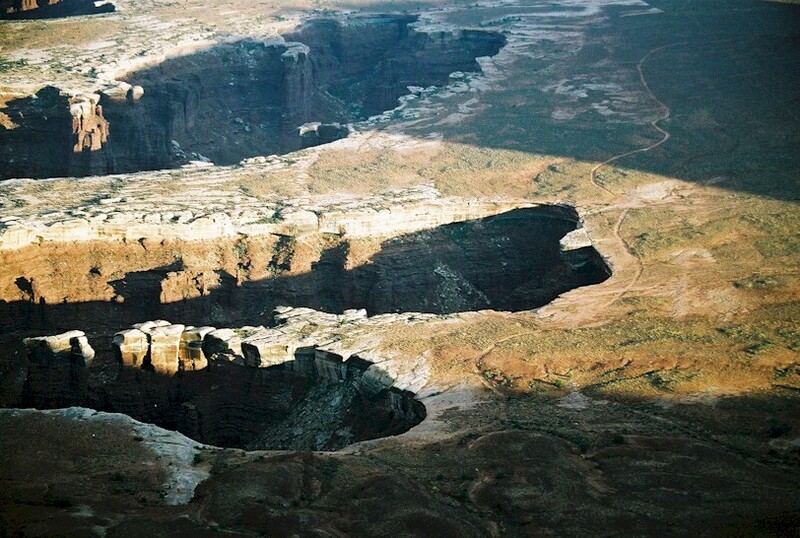 The confluence of the Green and Colorado Rivers is located in Canyonlands. 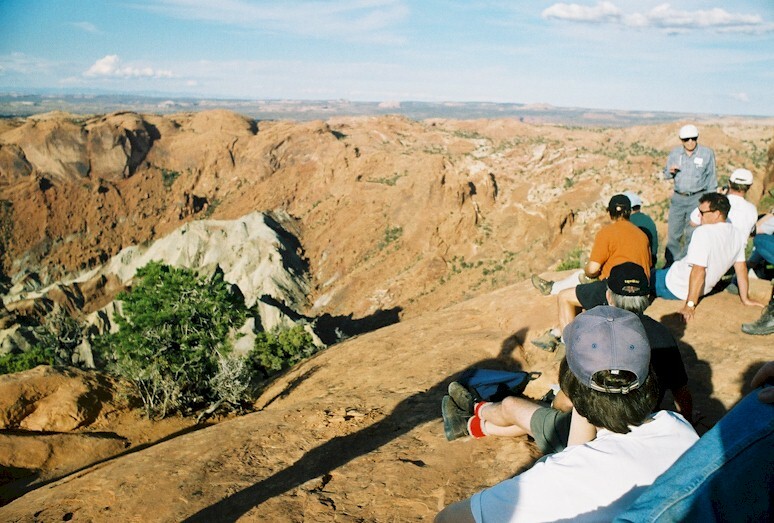 The park is close to both Arches and Utah's outdoor adventure capital of Moab, where you will spend the night on a multi-day tour.